I'm doing this post on my iPad, so I can't quite figure out the layout. So please bear with me and the strange centering of the words. 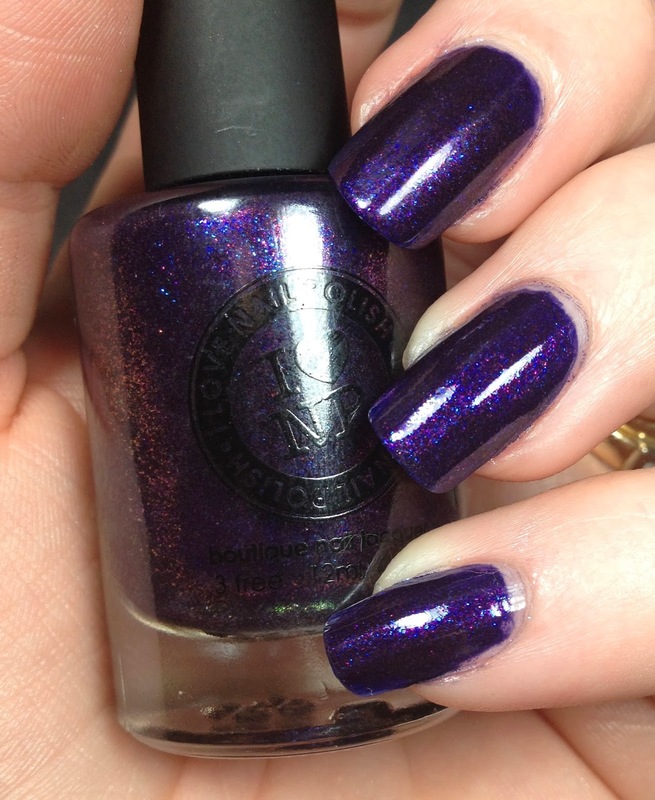 Today's post features another polish I got in the last preorder, from I Love Nail Polish. This is called Contraband. 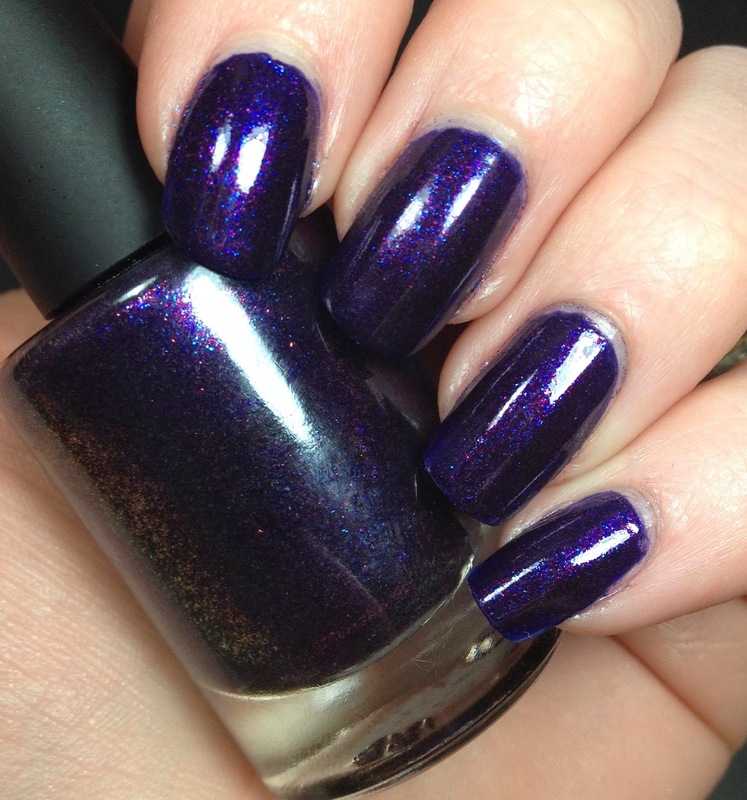 It is a blurple polish from the Rich Effect line from I Love Nail Polish. It's almost like glitter, but not. It is full coverage on its own and this is three coats. The sparkle is amazing. It has to do with the pigment that she uses in the polish and you can read more about it on her site. It is available now at www.ilnp.com. Thanks! I a, loving all the polishes I bought from I Love Nail Polish.